Nortex Electronic Co. has been one of the best-kept 'secrets' of the surplus electronics community, until now! Nortex Electronic Co. sells used and classic Tektronix, H/P, Wavetek, and other fine brands of test and measurement equipment, surplus electronics parts of all kinds, and old electronics / HAM publications. 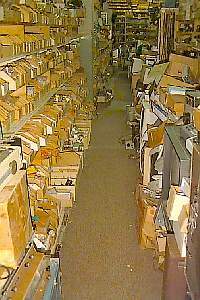 The overwhelming variety of equipment and parts is far too numerous to describe, but suffice it to say that this is without question my favorite place to shop for surplus. Anyone coming to North Texas should reserve a day for a trip to Nortex. 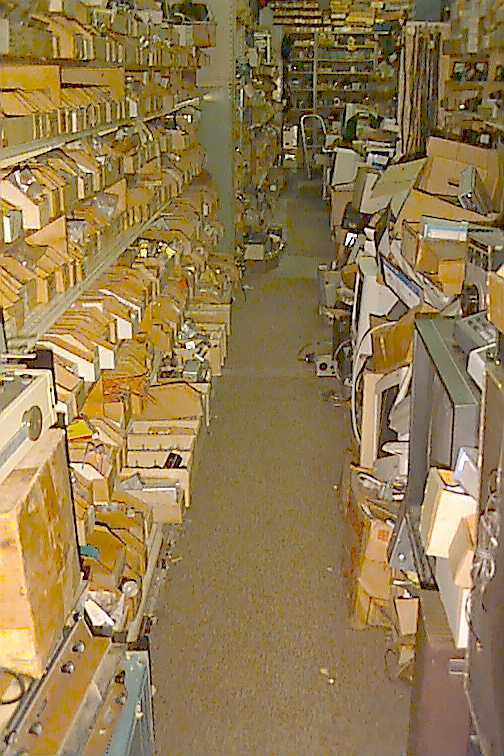 These 'impromptu' photos show some of the shelves and aisles full of equipment and parts, often spanning not only the last 60 years, but the gap from floor to ceiling as well! Please Note: Although these images are representative of the wares to be had at Nortex, this is by no means a catalog, but rather more of a 'visual report', and does not come close to showing all of, or the best of, the items available at Nortex. When inquiring to Nortex, please do not refer to an item by its image here, but rather, just inquire as to wether a particular item is available. The stock moves briskly, and a unit which was next to another unit last week may not be there today! Please take a virtual tour of the store using the navigation below. Click on the image to see a larger version. Map of Nortex's location in Forth Worth, Texas Nortex Electronics: The Mecca of Surplus, .. tubes, tube type equipment, sockets, oil capacitors, ceramic insulators, power, filament, modulation, variac transforrmers, blowers, power resistors, rheostats, rectifiers, shock mounts, JAN transistors, test gear, fine junque.. The best kept secret in the electronics classical surplus world!